Bring ALPS to your campus! The ALPS team is highly experienced in offering workshops and individual consultations with instructors looking for new pedagogies and approaches to teaching in the college classroom. Although our collective expertise is in political science and international relations, many of our techniques and ideas have been used successfully in a variety of disciplines. We are available for universities, workshops, conferences, and other teaching-focused events. Below is a small selection of the workshops we currently offer, although we regularly customize our sessions to meet the needs of specific groups. If you would like additional information on ALPS workshops, please contact us at alps@activelearningps.com. 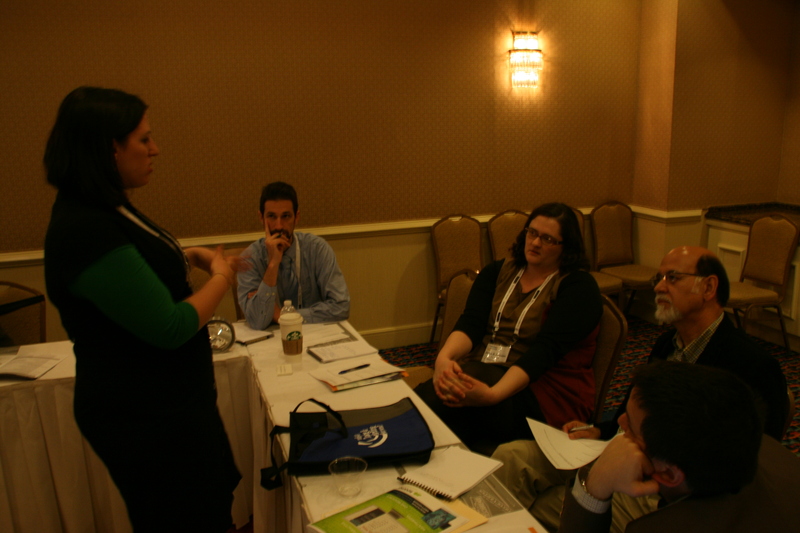 These workshops instruct participants in different pedagogical tools for teaching social science content. In each workshop, we introduce instructors to the method, model it with extensive participant interaction, and discuss the merits and drawbacks to the pedagogy. Each workshop is highly interactive and participants will have all the resources necessary to employ the method in their own classrooms following completion. Simulations, role-play and games are increasingly becoming an important part of the dedicated instructor’s pedagogical repertoire. Used regularly in military and business training, they can have a solid impact on students, increasing classroom engagement, developing skills, learning content, and preparing for professional practice. This workshop introduces instructors to the benefits and drawbacks of simulations and games as well as practical tips for employing them in the classroom. Participants will play through several different simulations and games during the session and will receive extensive materials and guides towards employing them in their own classes. Content can be tailored to a particular discipline or sub-field, such as international security, American political institutions, political economy, environmental politics, etc. This course is aimed at the instructor ready to design her own simulations and games for the college classroom. 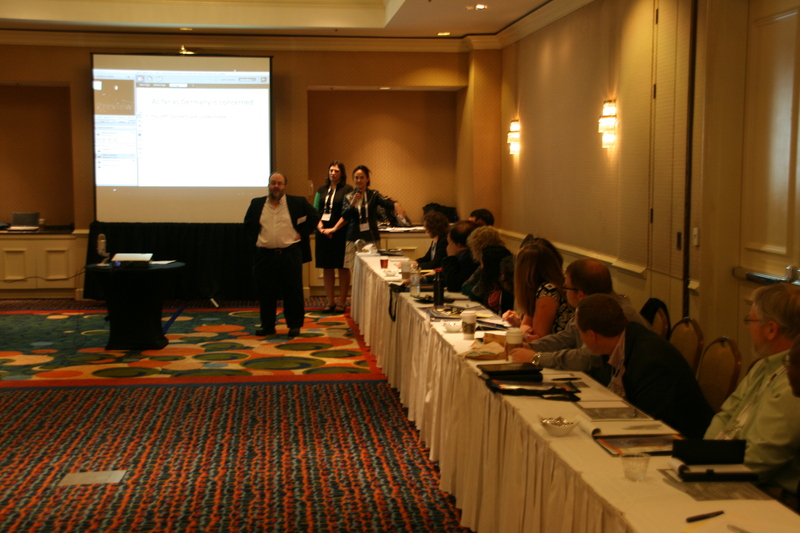 Participants engage in brief interactive simulations that can be used in the classroom and analyze their merits. They are then introduced to how they can think about integrating simulations into their courses as well as the need to carefully consider how simulations fit into syllabus construction. Participants learn about the mechanics of game design and collaborate to design exercises relevant to the subjects that they teach. This workshop works equally well as a stand-alone half-day session or as a follow up to the Games and Simulations workshop. We customize this workshop to meet the experience levels and expertise of the participants. Our model is tested in a variety of disciplines. While traditional lecture and discussion methods continue to dominate in pedagogical practice, there is a wide range of innovative techniques available to instructors that research has shown has a positive impact on students. This workshop introduces instructors to several of these newer pedagogical approaches for teaching political science theory and practice, such as problem-based learning, the flipped classroom, the case-study approach, and competency-based teaching. We begin by introducing the method, and work together through an example of how it would work to teach a central concept in political science. We will extensively discuss the merits and challenges of each method and then participants will have an opportunity to redesign a lesson or class to include one of these methods. We can also offer specific workshops in an individual pedagogy, rather than an overview of several methods. Social media have become a pervasive part of our lives, but how best can we use them in our teaching? This workshop looks at the variety of options for such technologies in keeping content topically, generating student interaction and creating new spaces for learning. A persistent challenge in incorporating new pedagogical features into an educational experience comes with figuring out exactly how all the parts of the student’s experience come together. While most instructors choose to incorporate occasional aspects of active learning into some of their classes (a sort of plug and play method), active learning is best leveraged as an integrated method rather than a purely episodic commitment. This means that in order to most effectively build on active learning techniques we must think clearly about course and curricular design. This two-hour hands-on workshop is intended for field or department-wide planning of curriculum and course design that begins with an analysis of your group’s specific institutional commitments to its students, field, and community. From this position the workshop attendees will remodel and incorporate active learning activities and experiences to create a more integrated approach that is reflected throughout the course and curriculum. These workshops focus on methods of teaching particular skills to students. All of them incorporate a variety of teaching methods (such as discussion, case studies, games, and simulations) and provide resources that enable participants to immediately begin explicitly teaching the skill in their own classrooms. Outside of political theory there has not been much focus in thinking about teaching how ethical thinking applies (or does not) to decision-making. Presenters lead a discussion on three different approaches to ethical thinking and illustrate how these approaches can be applied to various crisis situations at the leadership and the on-the-ground level within the context of humanitarian and political violence. The course starts with an interactive simulation that highlights the importance of ethical thinking in political decision making as well as how often ethics are not taken into account. We then discuss different approaches to ethics within the context of crisis decision-making. The participants then complete several interactive mini case studies where they discuss as teams the “right” way to deal with different challenges related to political violence at the ground level. We finish with a larger group debate about the impact of ethics and ethical reasoning on decision making. Helping students to improve their writing is a common goal of social science instructors. This workshop takes as its starting point the idea that the design of assignments matters tremendously when improved written communication is a key learning outcome. The course emphasizes writing with authenticity, where students practice replicating the forms of thinking and communication used by international professionals. Participants in the course will learn how to create assignments that provide students with a specific role, audience, and format for their writing. This technique promotes the development of analytical thinking skills and encourages students to take greater responsibility for their learning through meta-cognition. Special emphasis is given to the use of pragmatic policy memos and analyses, collaborative writing, and peer evaluation. This workshop is highly interactive, with participants acquiring first-hand experience in design and use of the methods presented. The instructors have a shared 25+ years of experience the design and use of active learning techniques such as simulations, games, and writing as a way of thinking. Their research on using these methods has been published in PS: Political Science & Politics, the Journal of Political Science Education, International Studies Perspectives and as chapters in various books on the subject.